The beauty of personal expression may be the greatest and most effective balm to soothe our hearts in troubled times. 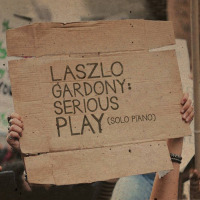 That's the message that pianist Laszlo Gardony gifts us with Serious Play. 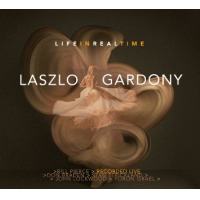 Following the approach used on Clarity (Sunnyside, 2013), Gardony delves deep into his own subconscious in real time to create a statement that's both comforting and weighty in tone. 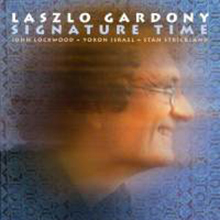 The bulk of the material presented herein was spontaneously composed, giving Gardony a chance to allow the moment to guide him, and it all resonates with a deep and profound sense of understanding. 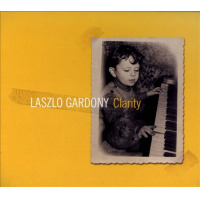 Rather than simply come in with a set of tunes, Gardony sat at the piano, asked renowned recording engineer Paul Wickliffe to keep the tape rolling, and let his perceptive mind and hands do the rest. The album starts and ends on familiar notes, with a soulful and hopeful "Georgia On My Mind" ushering us in and an incredibly moving "Over The Rainbow seeing us out. 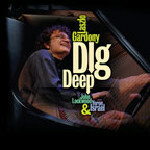 In between, save for a lengthy excursion through John Coltrane's "Naima" that takes flight off of a "Giant Steps" runway, Gardony offers us his own expository creations. There's the title track, merging his harmonic language with the posture and energy of McCoy Tyner; a starry-eyed glance in miniature, taking its post as "Watchful Through The Night"; a gathering call dubbed "Folk At Heart," speaking to resilience and strength in community; and a dynamic dance in the form of "Truth To Power," simultaneously speaking to salvation and doomsday. In less than forty minutes, Gardony manages to cycle through a series of thoughts and emotional truths that catalog what we're all experiencing in different ways. It's a statement that's both sobering and heartening in its unfolding. Track Listing: Georgia on My Mind; Naima; Serious Play; Night Light; Forward Motion; Watchful Through the Night; Folk at Heart; Truth to Power; Reverberations; Over the Rainbow.